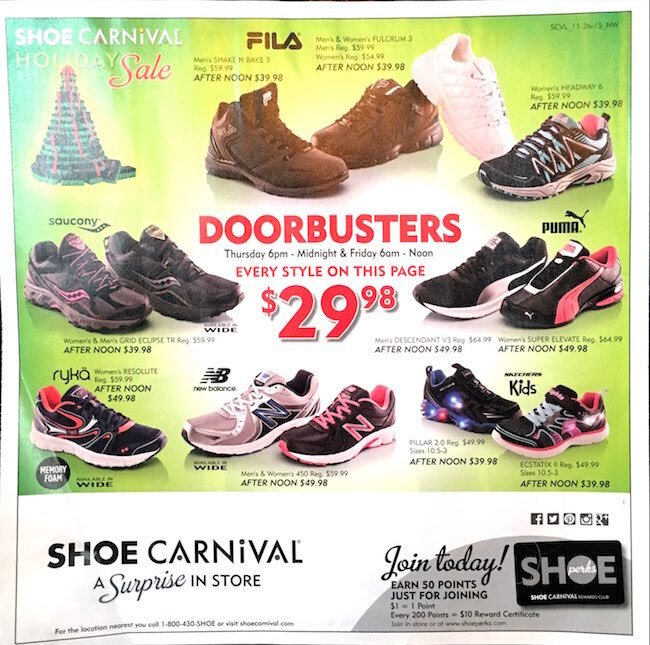 Shoe Carnival is a smaller chain of shoe stores, but they have great sales especially on Black Friday. They will have doorbusters that last for only a few hours and the popular shoe sizes will go quickly. On Black Friday Shoe Carnival also tends to give out prizes to the first 100 customers in each store throughout the nation, so it is worth showing up early. 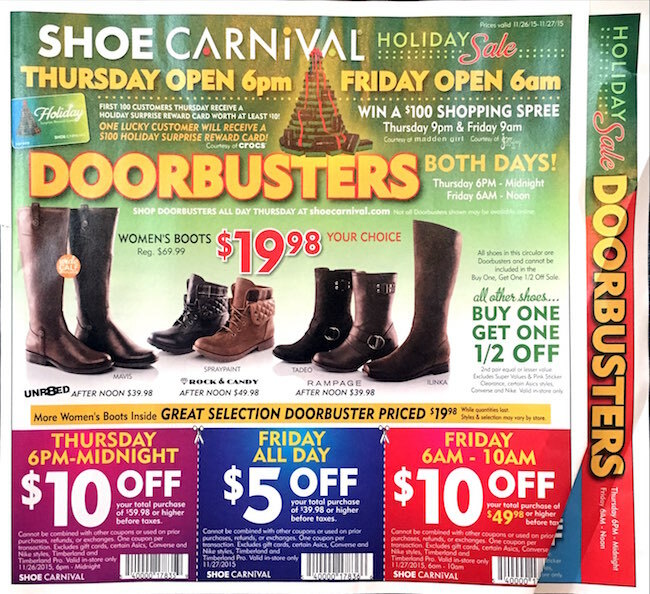 We have not yet received the Shoe Carnival Black Friday Ad for 2017, but we will post it here as soon as we have it. 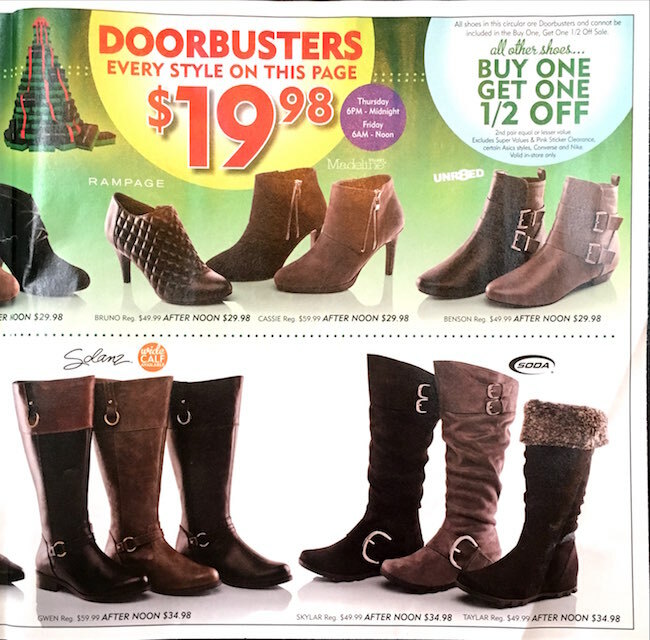 You can anticipate great deals on all types of boots and athletic shoes. We also expect their stores to once again open on Thanksgiving evening. Eat early so you are ready to shop! 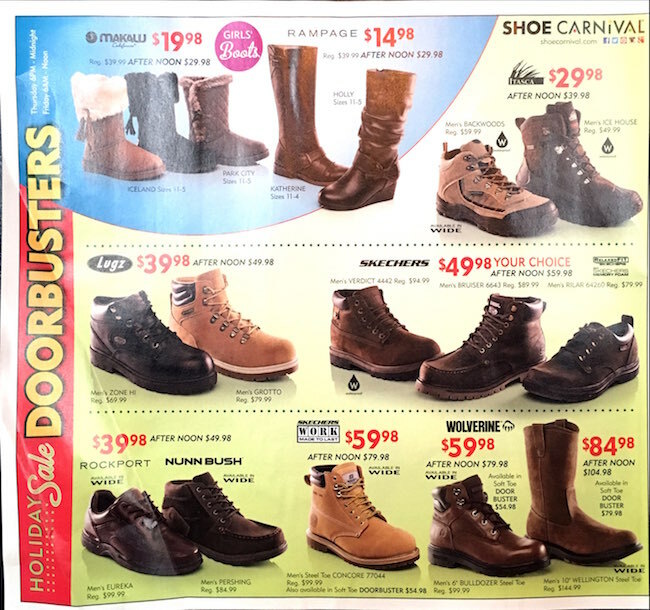 Here is the 2015 Shoe Carnival Black Friday ad and doorbusters. 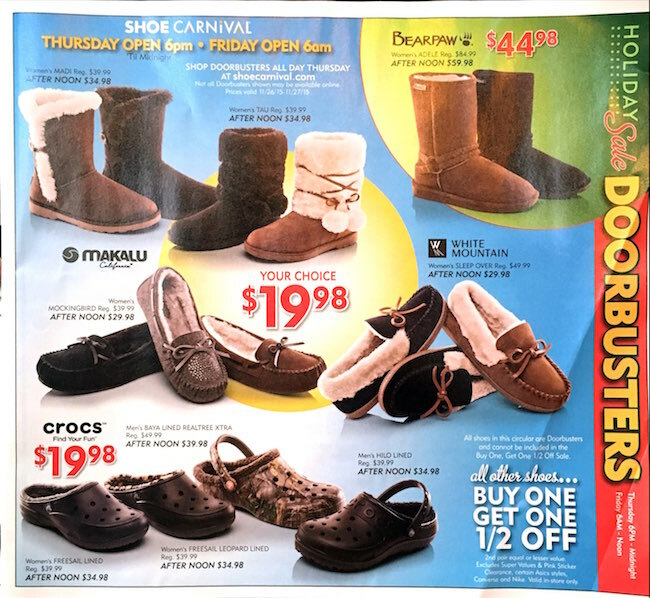 For Black Friday 2015 Shoe Carnival is offering buy one get one 1/2 off shoes, which the exception of doorbusters. Also, save 10% off the lowest price your see on their website with coupon code “THANKS2U”. 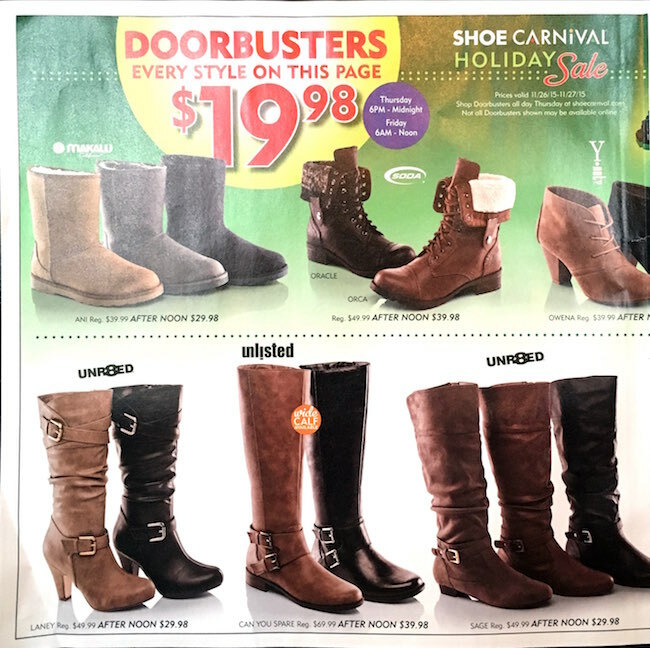 In addition, Shoe Carnival will have doorbusters such as cheap boots!